I’ve battled with how to approach this post; this letter of appreciation. I was not sure how to give these flowers. Somewhere over these years that I have become a part of the pro beauty community in NY and specifically a part of The Makeup Show family, I became acquainted with the amazingly talented Roque Cozzette. And initially, that’s was the extent of what I knew about him. I knew his work, which was nothing short of phenomenal, and I knew he owned a brand Cozzette (get the brushes and get them now), but a hi and goodbye was the extent of it all. Something in this world saw fit that I should be able to become more personally acquainted with Roque. And that I should have the opportunity to share conversations and interactions with him that have proven to always be thought-provoking, uplifting and absolutely sincere. It is an undeniable pleasure to respect an artist for their artistic vision and creations only to come to know more of them and to be equally if not more grateful for who they are. So fast forward to my having a desire to want to learn how to airbrush, correctly. I reached out to Roque, encouraged by a previous conversation with him sharing this very desire. (The laws of attraction are real). He agreed to give me a lesson and we scheduled to meet at Alcone Co. in NYC for a little pro beauty education. To say that I was excited may be the euphemism of the century. I was elated at the thought, but Roque had so much more in store than I expected. Roque is a spiritualist and is known to incorporate some of his practices into his makeup education, however I had no expectation beyond receiving basic technical instruction. Prior to our meeting date Roque reached out informing me of the spiritual/personal development aspect that would be a portion of my class as well as asking me to develop a makeup affirmation statement regarding what would happen as a result of me learning to airbrush. Y’all! I was not even ready! I’ve come to understand the importance of conscious thought, affirmation, and documentation in creating your life. For an educator to recognize the importance of including that element along with technical development was beyond inspiring. The levels of elation continued to increase. The class itself was absolutely wonderful. We began with Roque giving a demo on a full beauty airbrush including perfecting skin, contouring and even eyes. Using a synergy of traditional application techniques with his Infinity cream foundation then topped with airbrush makeup using Kett Cosmetics, he completed a stunning face while we did a live Periscope session! The demo was extremely informative, but not so much so that it was overwhelming. The ease with which Roque speaks about airbrushing, both the application technique and the mechanics of the equipment are a true testament to his vast knowledge on the subject. He also gave me a manual he created that is so chuck full of invaluable information that it could easily be a published book (cough, cough). This man know his stuff if a way that will have you wanting to step you entire skill set up. Next, myself, Roque and the staff of Alcone did a Wheel of Life exercise to help us gain a clearer understanding on areas where we should focus our energies in improving the quality of our respective lives. Who has that in a makeup class? Roque does and that is why what he has to offer is so one of a kind. Every wonderful artist is not an educator. And every educator will not give you more than technical knowledge. Roque has the gift of being an artist, educator and spiritualist who greatly understands the importance of total growth as a person in order to truly grow as an artist. He understands that we must strive to be our highest selves in order to execute our greatest potential. I’ve said so much and I really could say so much more. I don’t know if my experience with Roque is the same that others may have, but I do know that who he is and what he has to offer as an educator of artists and simply to any person, is invaluable. He just has a way of helping others to see the world, life and themselves in a new and infinite way that is subtle, non-intrusive and so sincere. He has a gift that is never-ending and he is so open to pour some of it into others. If you are looking to ascend wholly as an artist, I strongly suggest you seek to learn from Roque Cozzette. Roque, I thank you for you. There is no denying the power of social media. Whereas a few years ago we could just brush things off as “just the internet,” we can now clearly see the influence and reach that can be garnered from a major social media following. This very fact has caused quite a bit of conversation and debate within the professional beauty community. Many hobbyists with a large following are now pegged as pros and experts and are disseminating egregiously incorrect and sometimes dangerous misinformation to the masses. When you are an actual professional artist who has and continue to put int he work to make room for yourself in this industry, this new phenomenon can easily make you propel yourself into a new dimension due to massively strong eye rolling. My perspective is that we can not change what is happening with social media, but we can definitely work the system to our advantage! We are the real experts, so why are we allowing hobbyists to compromise our craft? One of the potential ways I see to remedy this is to have strong pro beauty presences on all social media platforms. My current favorite is the new and very popular Periscope. Periscope is alive streaming app linked to Twitter that allows you to interact real time with you viewers. When you broadcast, your viewers can chat real time with you and you can respond real time as well. What I love about Periscope is that it is raw; there is no editing and what you see is what you get. Slowly but surely, the pro beauty community is growing on “The Scope,” but it can be a bit difficult to find our beauty folks because the searching capabilities are still limited. In an effort to bypass this shortcoming I came up with the hashtag #probeautyscope. You can’t search hashtags on Periscope, but you can search them on Twitter. If you use #probeautyscope in the first 140 characters of your scope title, it will show up as a hashtag on Twitter making it easy for anyone looking for a #probeautyscope to find you! Simple enough, right? In the meantime, in between time, I came up with a list of 31 beauty pros, or pro beauty resources to follow on Periscope. Some have yet to broadcast and some broadcast regularly. If the person, place or a thing is included on this list, they have something of value to offer to the pro beauty community. Read on and follow! Show support and follow these pros for real expert advice on all things beauty and for great behind the scenes looks into the life of a working beauty pro! And don’t forget to hashtag #probeautyscope! Your epidermis is showing! *Cue beauty geek sensibilities and crack a little smirk or give a chuckle. * If you don’t know, your epidermis is your skin and it is the largest organ of your body. That means that not only does our skin act like other organs, absorbing most of what comes into contact with it, but it is also the most visible. It only follows then, that it is of the utmost importance that we take impeccable care of our skin, being conscious about what we bring into contact with it and making sure to maintain its visual health. I am personally obsessed with maintaining clear and youthful skin, but that has resulted in my having the most basic routine. I am slightly concerned about using something too heavy in chemical ingredients and somehow permanently ruining my skin. But with age comes new issues and I was very happy to meet the ladies of Mask Maiden recently at a meet and greet for the DIY Makeup Expo. This Korean skincare company hopes to make Korean skincare more readily available to markets outside of Korea. For a little context, you should know that skincare is a very regular part of Korean culture. Koreans shop for skincare just like they shop for groceries. Quality, well-deveoped and extremely user friendly skin care is readily available in Korea and at very affordable pricing. Korean skin care has been steadily making it’s way into the US markets for the past few years and I suspect that more is on it’s way. Mask Maiden is basically an on-line on-stop shop for all things Korean skincare-related. They carry products from industry favorites like Tony Moly and cult favorites in Korea that have yet to catch a hold in the US. I received a selection of products from the ladies at Mask Maiden and gave them all a try. I cant’ tell you all how absolutely impressed I was with the quality of the products, the results and after a scan of the website….the PRICES! Keep reading for a review of what I used. Bye bye Biore. 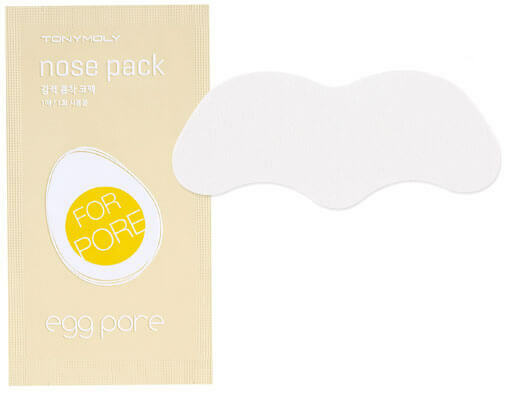 These lovely strips from Tony Moly use a mixture of eggs and other natural ingredients to clean out blackheads and impurities from the nose and boy do they work! I won’t tell you all how long I stared in amazement at what this little strip pulled from my nose, just know that it worked wonders. Unlike other strips that I’ve tried, it didn’t get extremely tight on the skin when it dried and it was painless to remove and left no residue. According to Mask Maiden, “Egg whites are also high in collagen and Vitamin A which is essential in treating scars, thus improving the appearance of pores and acne.” Hey now! The more you know. These are officially a part of my beauty regime. Okay, I was initially grossed out at the thought of putting pig collagen on my face, but then I thought about how much bacon and prosciutto I eat and I got over it. I also found out that many high end skincare products contain pig collagen as an ingredient, but refrain from mentioning that for the obvious reasons. This mask is meant to aid in hydrating the skin and has anti-aging benefits. Now, when I received it and I read the package and it mentioned whitening, I was apprehensive about using the product. I absolutely, under no circumstance encourage bleaching or skin lightening of any sort outside of dark spots due to acne and scarring from injury. However, after a bit of research, it became clear this was not a skin lightening product. The first ingredients of the mask are water and glycerin meaning that it is true to it’s hydrating claims. Glycerin is a humectant which means it holds on to water, helping your skin maintain it’s hydration levels. The pig collagen works as an anti-aging agent helping to replenish and maintain elasticity. Pig collagen is the closets to human collagen and, so despite the initial cringe factor, it’s really great for keeping your skin youthful and plump. Now, my only struggle with this mask was getting it out of the packaging, off the sheets and on to my face without it ripping into pieces. The mask was literally falling apart as I attempted to remove it from the package and get the two parts onto my face. It was a bit frustrating, but I was able to finesse it on after some work. This may be a result of the package lingering in my purse for a few days before I used it. After the recommended 30 minutes, I removed it and BABBBBYY, my skin was looking baby fresh! I could literally see the difference in the plumpness of my skin immediately. Additionally, my skin just felt very refreshed and hydrated, almost like having been misted with a refreshing spray. If you can get past the whole pig collagen portion, this mask is definitely a potential go-to beauty product! Oh how lips are ignored in the grand scheme of beauty products. And an often overlooked fact is that most lip products are drying. If it doesn’t explicitly say hyrdating, your favorite lipstick, lipgloss, stain etc. are all drying out your lips. Keeping that in mind, it’s important to make and extra effort to keep your lips well hydrated, moisturized and healthy. I am especially plagued with extra dry lips because I love matte lipsticks. So I can’t tell you the praise I gave for being introduced to this lip patch. THANK YOU THANK YOU THANK YOU beauty gods. First, the packaging is just cute as hell. It looks like candy, but it ain’t for children, you hear me! The mask is made of a hydro-gel material and a variety of berry extracts including bearberry, black berry, blueberry and strawberry, all high in vitamin C, helping to retain moisture and elasticity at the same damn time! I tried this one first out of the group of products and I was extremely pleased with the results. You definitely have to just lay back and let the mask sit on the lips because it did not stick, so once I sat up it slid off my lips. That wasn’t necessarily problematic though, just worth mentioning. After the mask my lips felt INCREDIBLE. Soft, supple hydrated and they stayed that way for a day or two. These are a beauty must have for any regular lipstick, gloss or stain wearer, especially if you’re a fan of super-drying mattes. I am in love with this lip patch! So we are all pretty aware of the major mask craze going on right now, and it is super exciting to find something a little different being offered on the market. 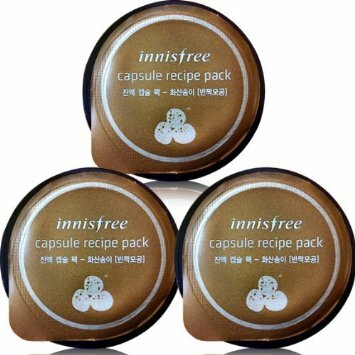 These little capsules that look very similar to your favorite Keurig pack, are actually packed full of 2-3 uses of high quality facial masks. This particular capsule is a volcanic ash clay mask that is supposed to, clarify, exfoliate and brighten skin while removing dead skin cells. So I used this mask while I was on the tail end of a heat rash breakout and the results were awesome! I followed the directions as listed and when I rinsed the mask of my skin was visibly brighter. The awesome thing beyond immediate results is that my skin continued to glow and to have a certain brightness for a few days after. I will definitely be using this mask regularly and exploring some of the other capsule options. All in all, I am officially a huge fan of mask Maiden and Korean skincare. They just make skincare easy without compromising the quality of the products and the prices are unbelievably low. I especially am a fan of Mask Maiden because they are carrying a variety of Korean brands in one space, with a site navigation that makes shopping and exploring new products and brands very easy. The ladies at Mask Maiden were kind enough to give me a code to help you guys with shipping! Use coupon code “MICHELA2015” to get free shipping on your entire order. Be sure to check them out!